Team meeting day in work is always a good excuse to get into the kitchen and whip up something dangerously delicious. I say this, as sometimes when I am dreaming up a recipe, I am very aware the possibility of me eating an entire batch is very likely, thus an occasion is always a welcome deterrent to gluttony. I wish I was one of those people who enjoyed a square of chocolate or a sliver of cake, but alas I am not, and as a result my friends and family will be fed well in an ongoing attempt to disperse the fruits of my labour. 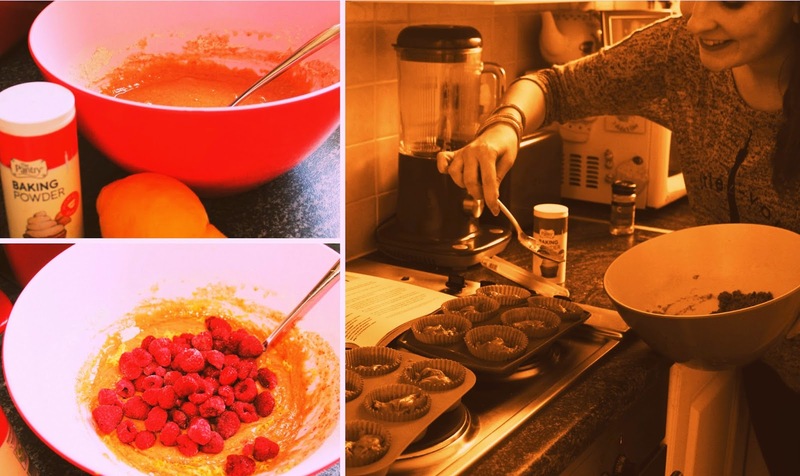 In preparation for tomorrows meeting, I have been brainstorming about cupcakes all day in work and by 4 O'Clock was itching to get home to my kitchen to put this recipe to the test. Cupcakes are everywhere you look these days and are very in vogue. As much as I do like a tasty cupcake cooked to perfection, sometimes they can be heavy, overly sweet and are often smothered in frosting. Though I do enjoy a traditional cupcake, sometimes something a little different is a welcome change to the classic cupcake. 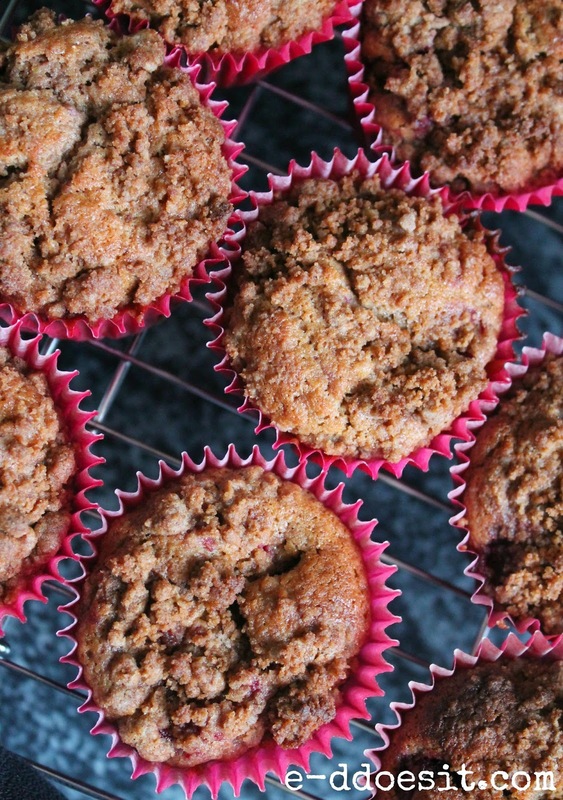 These Raspberry Crumble Cupcakes are perfect with a cup of tea instead of a biscuit or slice of cake. 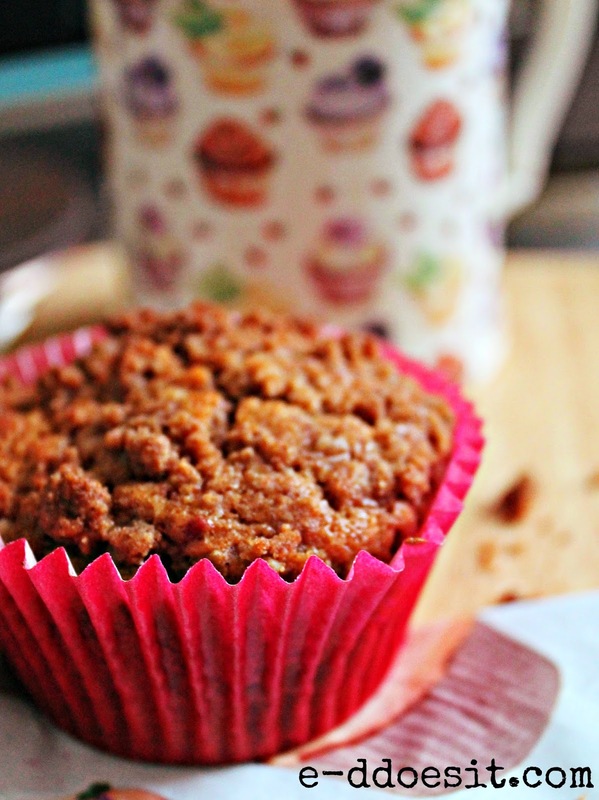 Though they are indeed sweet, the crumble topping makes for an alternative style of cupcake that will go down a treat. The cupcakes themselves have a great combination of flavours and textures, from the zing of the lemon zest to the crunch of the crumble topping, they really are a feast for the senses. 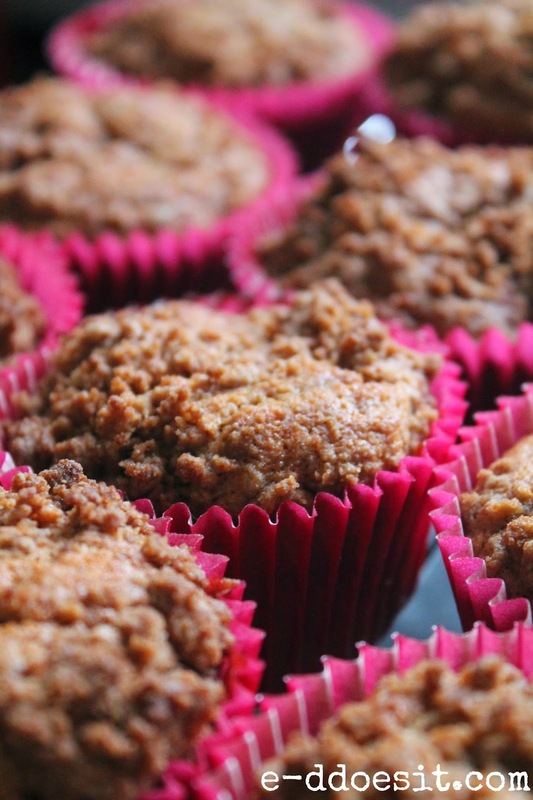 Wonderfully moist underneath, these crumbly treats are best served warm. I opted to use vibrant raspberry coloured cupcake cases to compliment the hint of raspberry in each cake. The delicious smells wafting through my kitchen this evening, would leave anyone feeling hungry going to bed. 1. Preheat the oven to 180C. Line a cupcake tray with 12 cases. then create a well in the centre of the mixture. gently until all of the ingredients are well combined. 4. Finally add the lemon zest and raspberries, again stirring gently until well combined. 5. Spoon the mixture into the cupcake cases and set aside. cupcake with a spoonful of the crumble mixture. transferring to a wire rack to cool slightly.